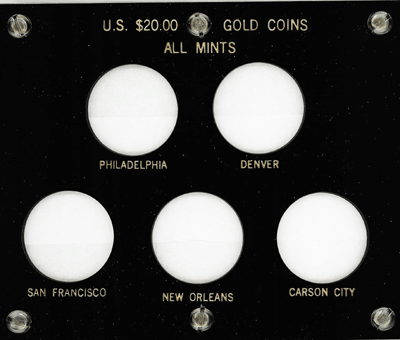 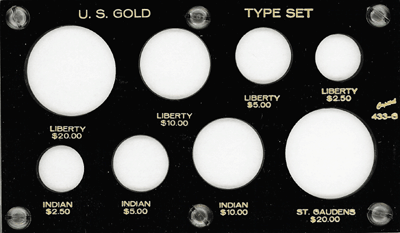 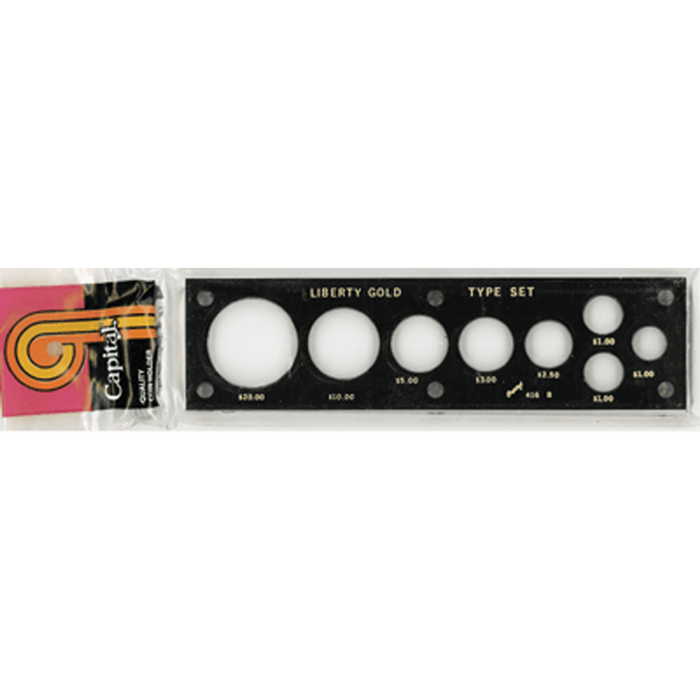 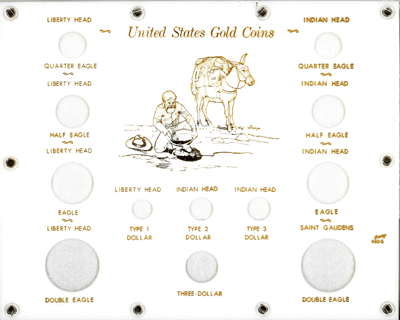 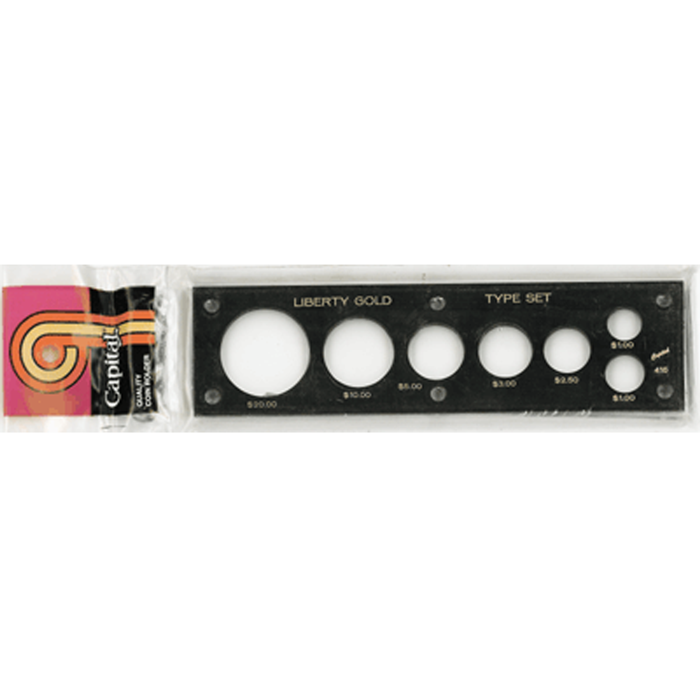 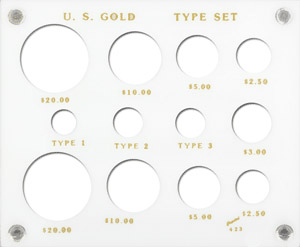 Capital Plastics coin holder for 4 US Gold pieces. 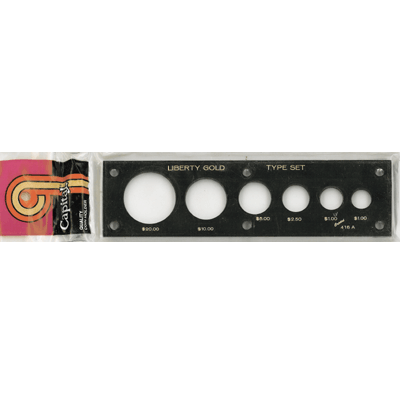 Model Size Color Pack Qty 415 2x6 Black 1 This holder is a screw together 2 x 6 inch holder. 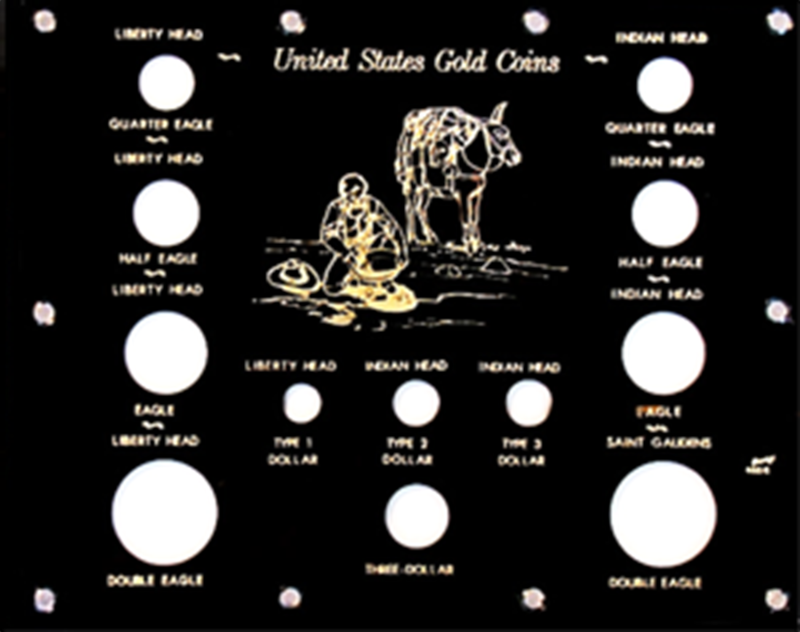 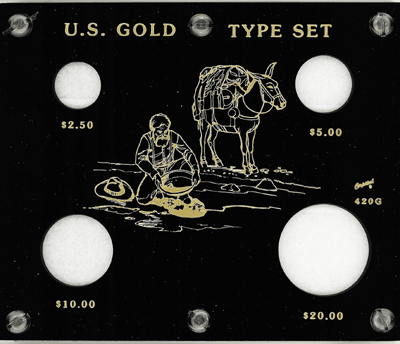 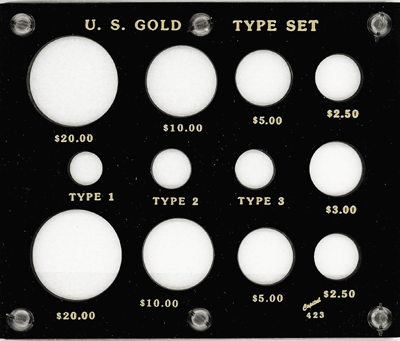 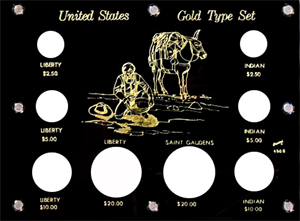 It has space for a $2.50, $5, $10, and $20 United States gold piece. 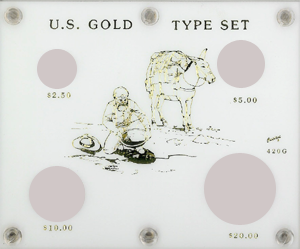 The holder is black in color. 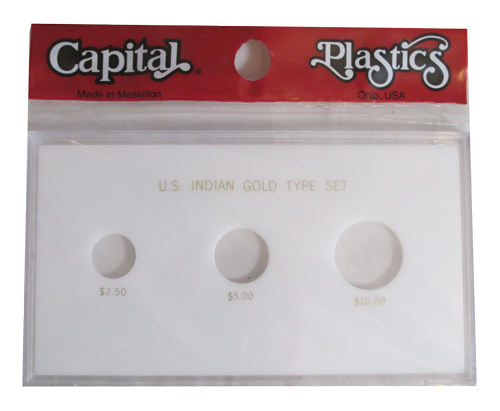 Capital Plastics coin holder for 4 US Gold pieces. 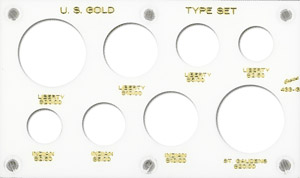 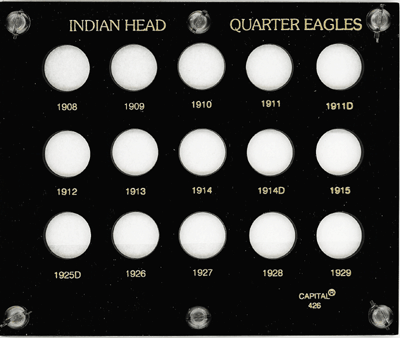 Model Size Color Pack Qty 415W 2x6 White 1 This holder is a screw together 2 x 6 inch holder. 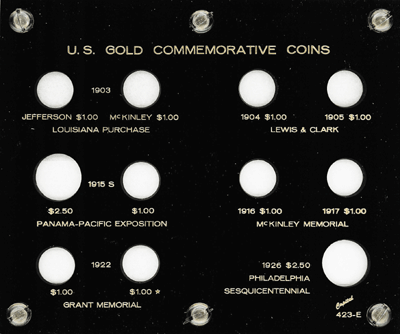 It has space for a $2.50, $5, $10, and $20 United States gold piece. 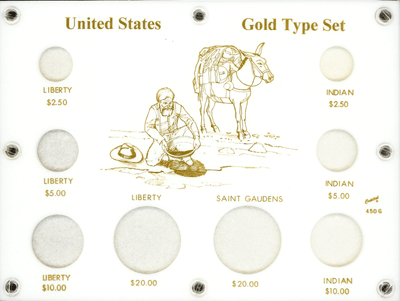 The holder is white in color.